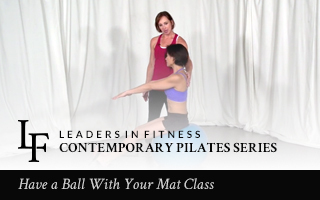 Enhance your Mat class by incorporating the Physio-Ball and Magic Circle elements. 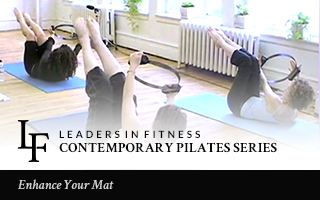 Learn how to adapt the Mat and Reformer exercises for your beginner level student through your advanced. Get your students ready to move and energized with some fun alternatives. 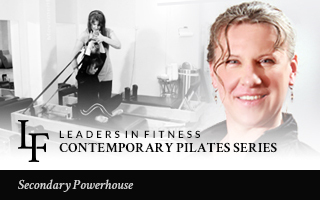 A great way to challenge your clients (especially the more intermediate and advanced clients) the unstable surface of the roller makes even the most basic Pilates exercise challenging, calling upon the deep core muscles to stabilize the body on the moving surface of the roller. Additionally, the roller can help in learning balance, improving posture, building strength, and relieving tension. This workshop will help clarify your understanding of the components and movements of the Secondary Powerhouse. You will leave with a good working knowledge and understanding of the exercises and ways you can help your clients strengthen, stabilize, and healthfully work with this part of their body. We will be starting with an in-depth anatomical look at this very cool part of our body, and then move to actually working with the Pilates equipment and exercises that can help our clients stretch, strengthen, and stabilize in this area. 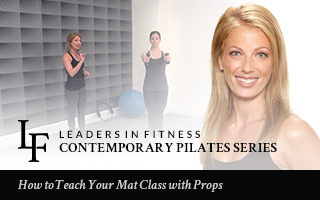 Learn how to integrate this useful prop into your mat class or create a Pilates on the Ball class. See how the use of a physio ball can literally help place the beginner/intermediate student's center of gravity in their core, while challenging the advanced student with additional resources. This workshop will teach you how to utilize the magic circle, weights and large physio-ball for an open level mat class. The exercises remain the same and the props will not only challenge clients but be a great teaching tool with an additional focus on Secondary Powerhouse. Get ready to have fun on the mat. 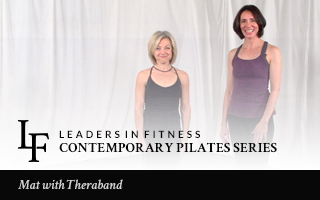 Learn how to incorporate this multi-faceted and useful tool, the Theraband into a mat class; for a fun and challenging workout!